Edwards 4.25 oz. 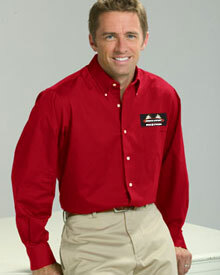 65/35 polyester/cotton poplin long sleeve shirt with button down collar and placket. Big O Tires "Service Expert" logo above pocket on the left chest.